UrbanLoftArt.com has a wide variety of frames and matting options available to complete the look of your favorite art on canvas or art print. Created by skilled craftsmen in our NJ warehouse, Fulcrum Gallery guarantees expert, high-quality work for a fraction of other retail prices. By selecting one of our framed art options, customers can customize their art to get the perfect look, feel and style. Simply select your print or canvas art, choose your frame and display your framed art as soon as you receive it! Want to customize your art print or canvas transfer? 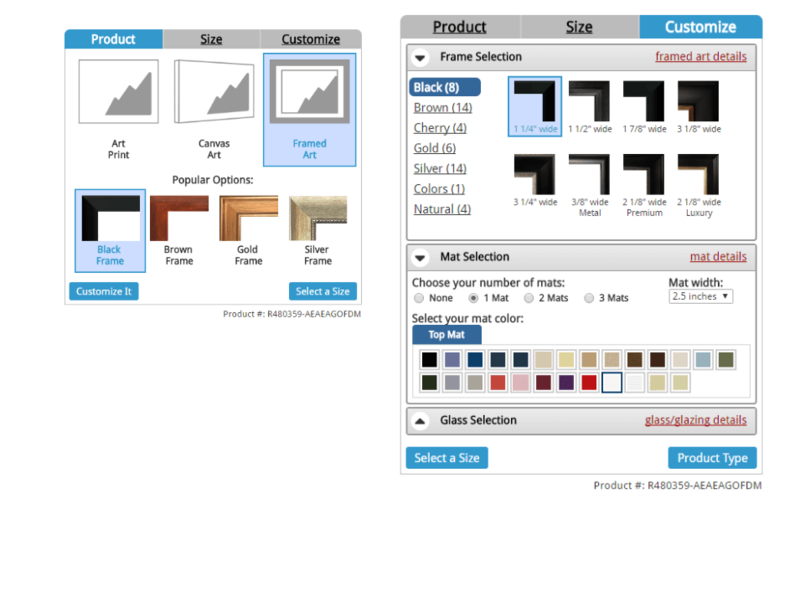 Simply select the "Framing Options" or the "Frame It" buttons underneath the product you want. Once you have access to the custom frame shop, you can select any of our 45 popular framing options, including black frames, gold frames and silver frames. Want to add some dimension to your artwork? Choose up to 3 different mats in many different colors and sizes to truly showcase your framed artwork. With regular and non-glare glazing options for both plexi-glass and glass, you can truly customize your framed art to suit your needs. Looking to add museum quality? Select the 99% UV Protected Museum Glass to truly protect your framed art for years to come. Crafted in the USA, we guarantee that you will love the look and feel of your new framed art. We take pride in our high quality materials and expert craftsmanshop. Because of this confidence, we have a no questions 30-Day Return policy. If you are not 100% satisfied with your framed artwork for any reason, you can return it within 30 days and receive a full refund. No questions asked. 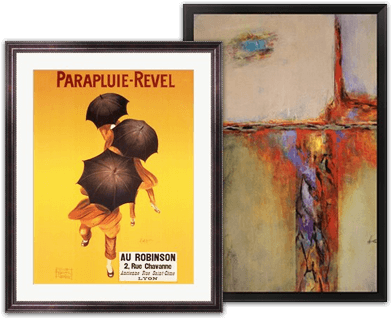 If you have any questions about our framed art or custom framing options, please give us a call at 1-888-601-0010.